Leon V. Wulfers is the owner of L&R Furniture, LLC, a leading provider of used furniture and appliances in Crystal City, Missouri. Mr. Wulfers specializes in the acquisition and sales of furniture, and he speaks with people who are looking to sell their furniture throughout the community, and also picks it up from them at their discretion. He served in the 88th Infantry Division, G-2, of the U.S. Army from 1945 to 1947. In the early 1950s, he worked in a new furniture store before making a transition into traveling and selling libations. Following that, he owned a used car lot and a service station. Mr. Wulfers established his business after the lease expired for a pool hall that he had previously owned. 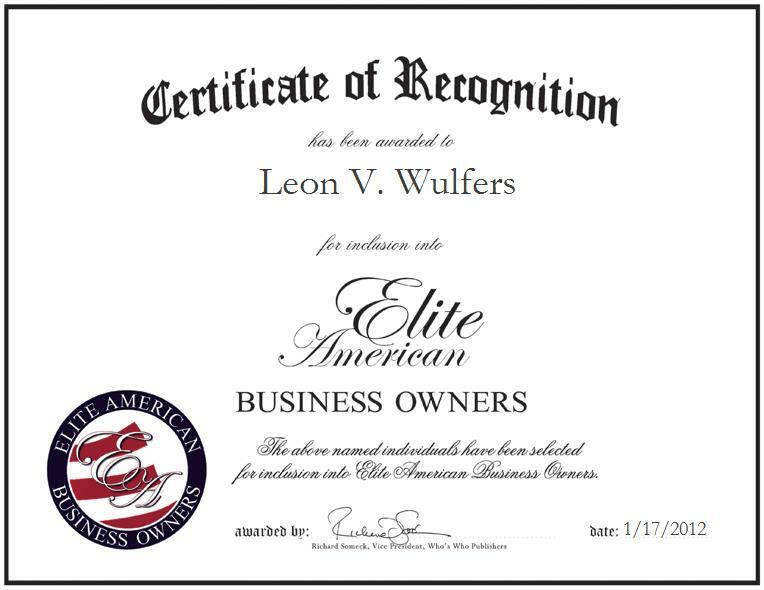 In continuously striving for excellence as a business owner, Mr. Wulfers seeks to appeal to a broad array of markets; however, through sheer savvy and a genuine desire to help people to feel comfortable and unwind in any environment, he provides products and services that make their experiences memorable.